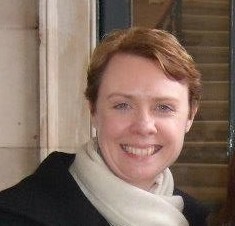 Clare has worked in genealogy and local history since 1997. Born in Co. Monaghan, she now lives just outside Tuam, Co. Galway, in the same parish where her great-great grandparents lived and where her grandmother still lives aged 101. Her interest in genealogy and local history led her to pursue a career in archives and she qualified as an Archivist from University College Dublin in 2000. Since that time she has worked in the public and private sector on various archives, records management and research projects. In 2014 Clare joined Ireland Reaching Out (Ireland XO) as their Genealogy Manager having previously completed a tenure as Galway City Council Archivist. She worked for Ireland XO for almost 3 years assisting those who hoped to learn more about their ancestors’ parish of origin in Ireland. As part of this work she managed the Epic Journeys exhibition, detailing the stories of those who left 5 parishes in Ireland and passed through Ellis Island immigration station from 1892. She has also worked as a volunteer to complete the transcription and digitisation of St. Mary’s Graveyard, Killererin, Co. Galway as well as contributing to the Killererin parish history publication. In September 2016 Clare completed an MA Local History in the University of Limerick, her thesis concentrating on the relationship between teachers in schools in the parish of Loughrea and the Board of Education in Dublin. In early 2017 Clare established Wild Atlantic Family Research, her experience as an archivist and interest in local history providing a resource for those who would like to learn about their Irish ancestors.